The long-awaited summer season is here: Kids are out of school, store shelves are lined with grilling supplies, and the smell of sunscreen permeates the air. The sunny, warm weather provides ideal conditions for relaxing outdoors with friends and family. Here are a few tips for safely enjoying fun-in-the-sun all summer long. Only light propane and charcoal grills in a well-ventilated outdoor area. All grills produce carbon monoxide, a tasteless and colorless gas that can be lethal when inhaled. To prevent burns or accidents, keep three feet away from the grill. Always read your grill’s manual before using. Each grill is different and may have unique operating instructions. If you smell gas while cooking, immediately move away from the grill and call the fire department. Do not attempt to move the grill. It is likely that there is a gas leak, which can be very dangerous. If the flame on a propane grill goes out, immediately turn off the grill and the gas, leave the hood open and wait at least 15 minutes before re-lighting it. Propane is heavier than air and it takes longer for the gas to dissipate. An explosion could result if re-ignited too soon. You aren’t the only one with a jam-packed schedule for the next few months; burglars tend to be busier too. The FBI reports that during June, July and August, burglaries increase by as much as 16 percent. Many homes are seen as easy targets because homeowners tend to take vacations and spend more time outdoors during the summer season. 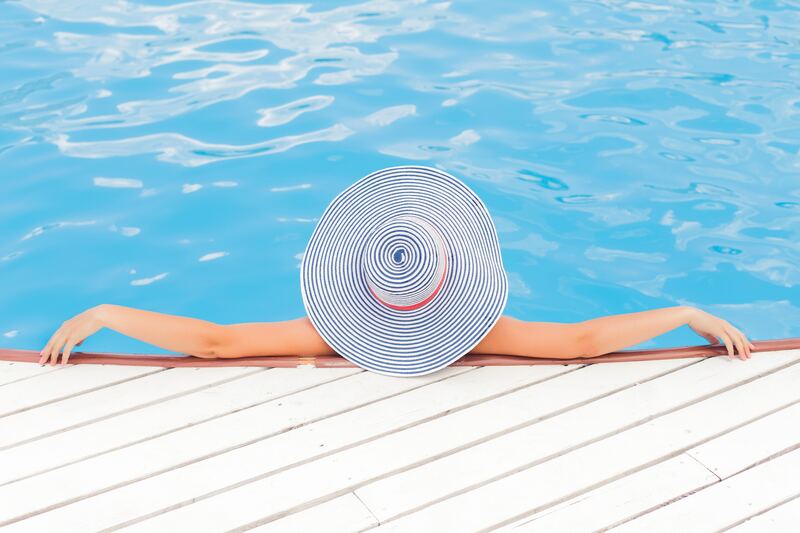 But you don’t have to be a part of the statistic; here are a few ways to safeguard your valuables whether you’re 1,000 miles away on vacation or just down the street at a pool party. Keep your whereabouts under wraps. Hold off on posting pictures and updating your status on social networking websites until you get home. Burglars are notorious for trolling these websites in search of information that can lead them to an empty home. Discourage burglary at home with a monitored security system. A recent study suggested that security systems and surveillance equipment are effective deterrents against burglary. Deny easy access to your home by locking doors and windows anytime you exit your home. Most burglars enter a home through open windows or doors or by forcing them open. Keep an eye on your home by enlisting help from technology. Enhanced security systems give you the power to set the alarm, lock doors, receive alerts and view live video all from your smart phone. You can find a security company with experience in enhanced security technology using the Alarm.org database. No matter what’s on your agenda this summer, the safety of your family should always be on the top of your list. With these tips, you can spend quality time with your family and friends all summer long.